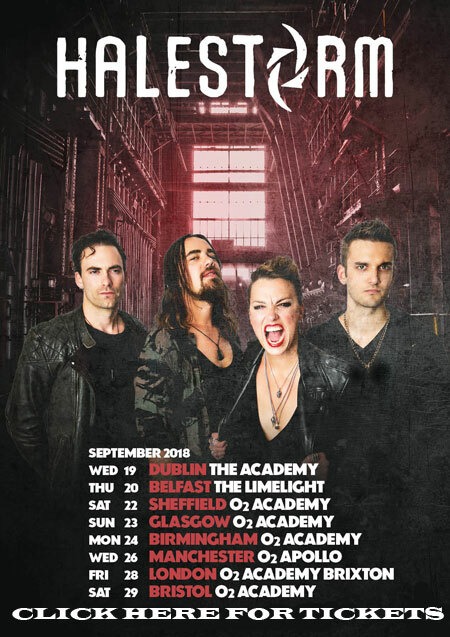 Halestorm will embark on a six-week UK and European headline tour this September and October, kicking off in Moscow on 14th September and wrapping up in Madrid on 25th October. The trek includes eight UK and Ireland dates, including London's O2 Academy Brixton for the first time. "Hello UK Freaks!! We are so excited to return to you with our biggest headlining tour ever! "And we are beyond pumped to finally get to perform at the legendary Brixton Academy, one of the places that has been on our rock'n'roll bucket list forever! Can't wait to see all of you there!" Special guests for the tour are still to be announced and tickets are available right here. Halestorm also play Ramblin' Man Fair as special guests to The Cult on Sunday 1st July. Tickets are available at Ticketmaster right here. Lzzy Hale, who was inducted into The Hall Of Heavy Metal History in January, has been holed up with her band in Nashville recently, working with producer Nick Raskulinecz on Halestorm's fourth studio album, which is due out later this Summer on Atlantic Records. Lzzy described the new album to Billboard as "very rock. It's definitely a step forward for us. I think you're really going to see something that comes from all four corners of Halestorm, what each of us brings to the table and just how important all four pillars are in this band. "We're really pumped about having something new, and I just hope everyone likes it - and, regardless, we're stoked on it." 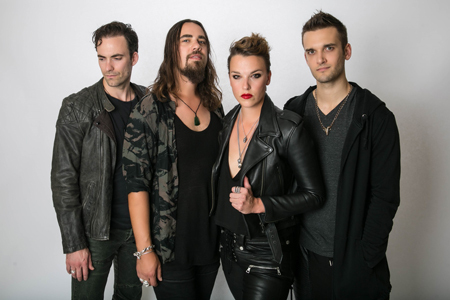 Halestorm will spend April and May on the road in the USA, playing festivals and co-headlining a milestone North American tour showcasing all female-fronted hard rock groups.